Looks like he made in a second picture as well. Is the RV really going for a time slip? Is the RV really going for a time slip? 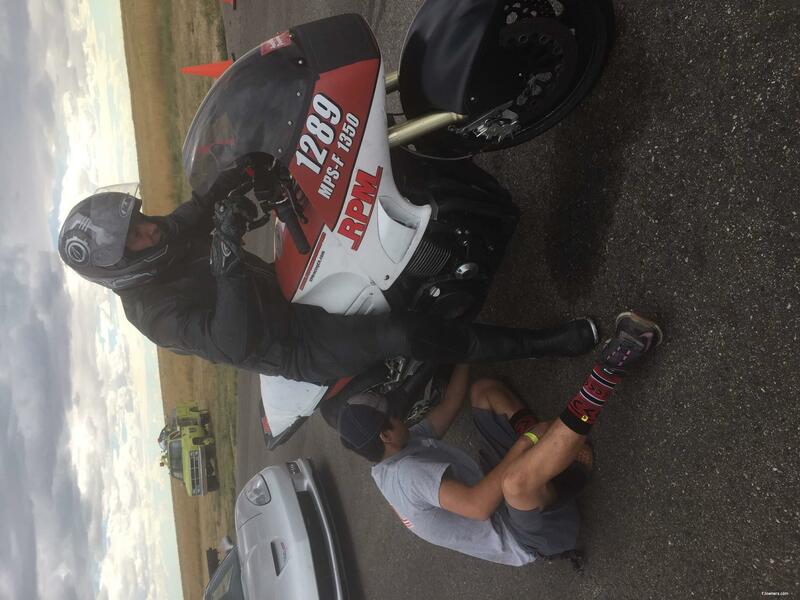 A racer I met at Bandimere took some pics and a video at the Mile. It's another shot of run 7. We're done racing for the day, but still working like scared rats so in the morning all we need to do is add a warm nitrous bottle and warm up the FJ. Tuning is focused on scaling up the 100 shot tune to 125. Then, in the microsquirt, split that tune across two "stages" of nitrous. We're doing this to get the added fuel from the microsquirt to roughly follow the nitrous controller over a longer progression. The last two runs at 100 HP shot of nitrous have shown we are bringing in the nitrous a little too quick for either the clutch or the tire to handle. Not sure if it is the clutch or tire that can't cope - but slowing the nitrous progression is a solution for both problems! It's also time to regear - start installing the 33 tooth rear, but change course and keep the 35 and go to the 19 tooth counter shaft sprocket instead. 18/33 and 19/35 are very close gearing -- but if I need more gear tomorrow it will be quicker and easier to swap the rear sprocket. Fill the old nitrous bottle so we have both ready to go in the morning. Install the 125 HP nitrous jet. Get that funny feeling that says to double check the nitrous setting in the microsquirt - holy cow! Found a VERY LOW fuel setting mistake that could cost the engine. Whew! Time to load up and be ready for tomorrow! I've lost Ryan from the crew today - something about a honey-do list... The crew today will be my son, his best friend, and my mother-in-law. Have to delay 30 minutes for the parts store to open up. Luckily they have the Bosch O2 sensor we are looking for. 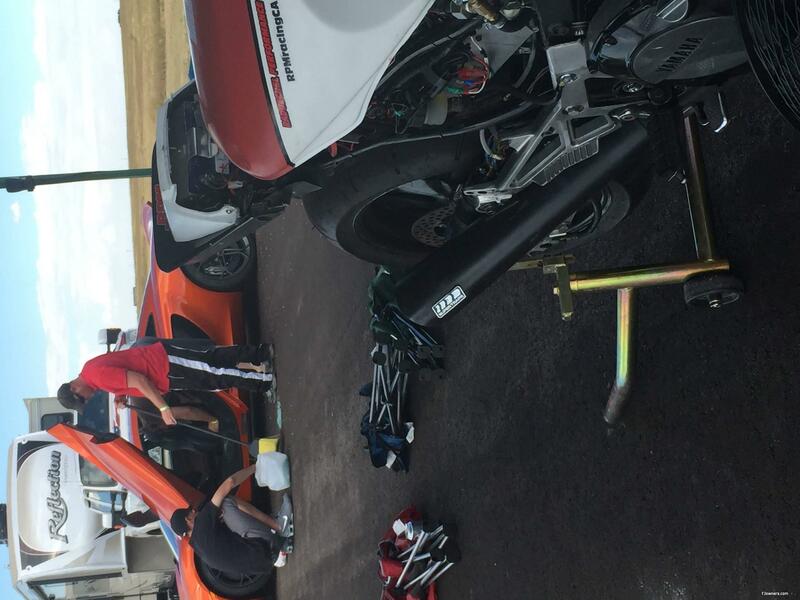 We still get to the track about a half hour before they start running and unpacking and bike prep goes fairly well. My son texts - his friend bailed, so he's bringing a girl he knows instead. Great - I know where his attention will be. We are in line on the grid shortly after they start running. Lines are fairly long - everyone has the same idea as us. Feel good as I roll up to the timing tent. 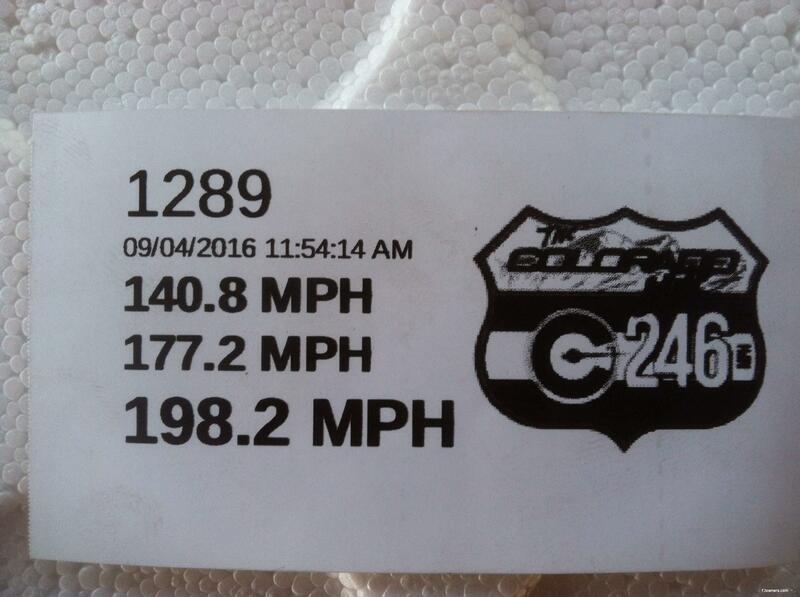 194.5 mph! We've got a chance - it's going to be close! Check the logs - AFR is fat as expected - reduce it by 6% then scale it up for the 150 shot. Take out a couple more degrees of timing. Swap bottles, new nitrous jet goes in, tape the seat cowl up again. We change to the 33 rear sprocket since We hit the shift light in 5th (set at 9600 RPM now) - gearing is now 19/33. Quickly check over everything and back to the grid! A couple of the veterans come by - impressed with the speed we ran. Asked if we had bumped up the nitrous - yep, and we just bumped it up again! All weekend - after we started spraying - everyone comments on how fast it takes off in 2nd gear! Really cool to have everyone pulling for us and wishing us luck. While we are waiting, a small rain cloud passes by spitting at us on the staging end of the runway. The wind is picking up a little more - but not as bad as yesterday. We go through the checklist - no errors now! And the data logger isn't cooperating again - finally connects rolling up to the line again. Launch goes good for how tall its geared. Runs feels good and FAST! Hard to describe the feeling of the speed - different than I expected. The bike never misbehaves at speed - remains completely composed - even under braking. 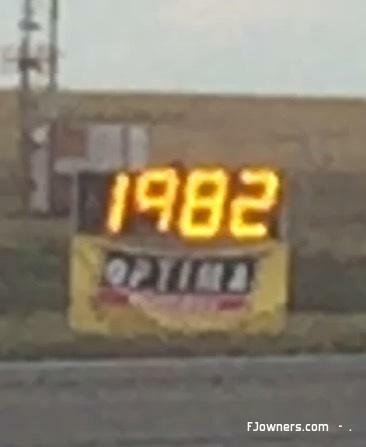 Roll up to the timing trailer - 198.2 mph! We are so close! Everyone is really excited now! We can all taste it! Get back to the pits about the time they take the lunch break. I know winds were forecast to pick up in the afternoon and they are. Crap - really hope we don't have to fight them too hard! Mark - where did you find those? I went looking but didn't find any. Thanks! I used the link Randy posted along with his photo of a screen shot. Looks like Randy pulled his post after I copied the images from FB (no need for dupe images). Maybe Randy can repost the link. Maybe Randy can repost the link. Someone send me the link. I believe it was under The U.S. Mile FB public page. High energy in the pits as we prep to go out after lunch and try for 200! Although the winds are picking up, they have swung around form the South West – TAILWIND!!! Everyone is excited to see the tail wind, but also know it can change by the time you get to the grid, or by the time you get to the start line. Either way, we are going to be ready. The nitrous solenoid we are using is rated for 150 HP. That’s what we sprayed on the last pass. I look at the logs – we are very rich, and are taking out a lot of timing - so there is more horsepower to be had! After thinking it through for a while, I decide to install a 175 HP nitrous jet to make sure the 150 jet wasn’t slightly restrictive or maybe the solenoid will flow slightly more than the rated 150. Since we may get a little more flow, I only take out half of the “extra” fuel. I also keep the timing retard where it is – want to make sure we have the fuel “wired” before bringing in more timing. Although I’m want to get out and go for a big number on this run, I also realize we have time to make more passes and don’t need to push it all in at once. Everyone is pitching in. My wife is taping up places we are trying to control the airflow a bit. The three pieces of tape I placed under the chin of the fairing for the last pass have blown off and are wrapped up in the fork legs – that tells me they were doing some good – but not strong enough. She is replacing that and reinforcing it with multiple layers. My son is looking for places around the tail that can catch air directing here where to tape while he’s swapping out the nitrous bottle. I’m tweaking the tune and trying to make sure the GoPro works this time. Head out to the grid. Everyone there is pumped up for the tailwinds. The bike guys we’ve been talking with all weekend are wishing us luck for 200. On the grid getting ready to run. My son and I go through the pre-run checklist. We're both excited but focused. As I roll up to the start line I notice the shifter button is missing the “button” part – all that is there now is a metal post inside the metal surround. I put my thumb over it without pressing it, hoping I can press it with my gloves on. It seems like I can, so I decide to make the run. Push the bike up to the line – we've still got a quartering tail wind! The starter waves me onto the course. Pretty good launch – ride the clutch a bit more and it doesn't bog as bad. I shift second a little early - anticipating issues with the shift but it goes well. Feel the nitrous come in and start pulling hard. Shift light on – press the shifter – NOTHING! Hit it again – NOTHING. Try again and get the shift and the bike takes off again, but something sounds off. Stay in it hoping I'm being paranoid. Shift again and the bike continues, but not with the same force as before. Pass the mile mark and slow – definitely not as fast as before. Start braking and I look behind me – no smoke and don't think I see oil. Engine is still running, but is definitely hurt. Make it to the timing trailer and the engine doesn't want to idle. 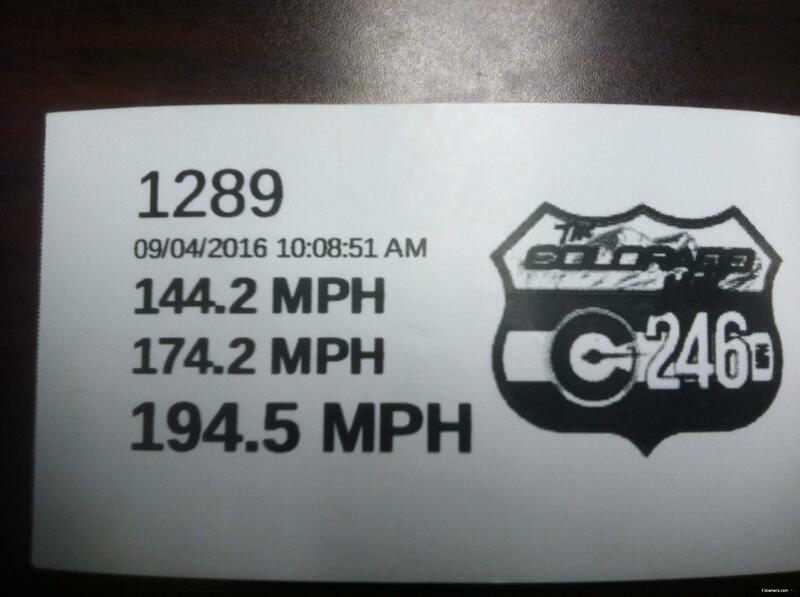 Get my ticket – 175.9mph. Yep, I think we may be done. Get it in the wheel chock and start looking over it. I don't see anything outwardly wrong. I pull the seat and side panels. Rotate the tank and pull #3 spark plug. It looks good. Pull #2 - it looks good too. Pull #1 – looks good. Pull #4 – the side electrode is melted off. Now I'm hoping we just melted down a plug but didn't hurt the engine. Put a new set of plugs in. Engine starts but doesn't want to idle. Something is definitely wrong. 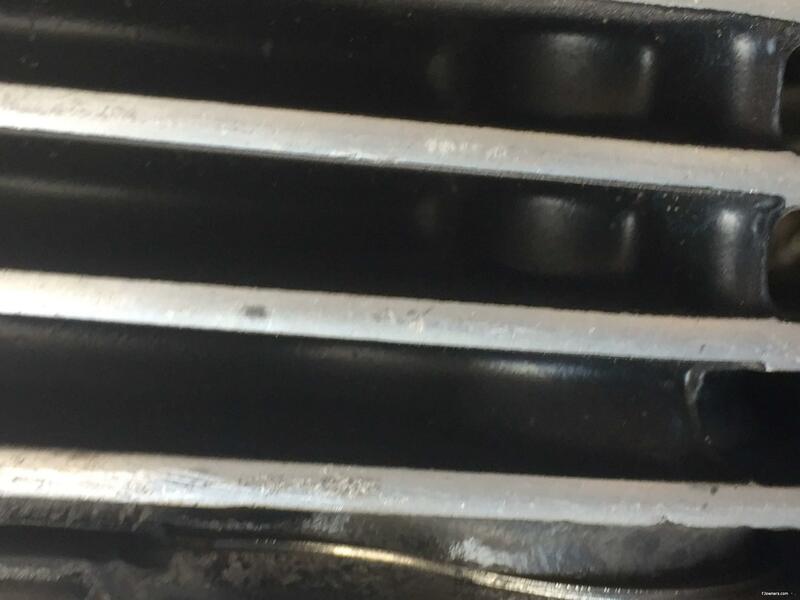 Look at the exhaust headers to see if there is a leak. See if throttle body rubber has come loose. Then I see the cylinder head gasket failure outboard of #4 cylinder and the damage done to the head. We're done. Now I'm trying to figure out just what happened. Look at the data logs and it doesn't jump out at me, but the key indicators are there. 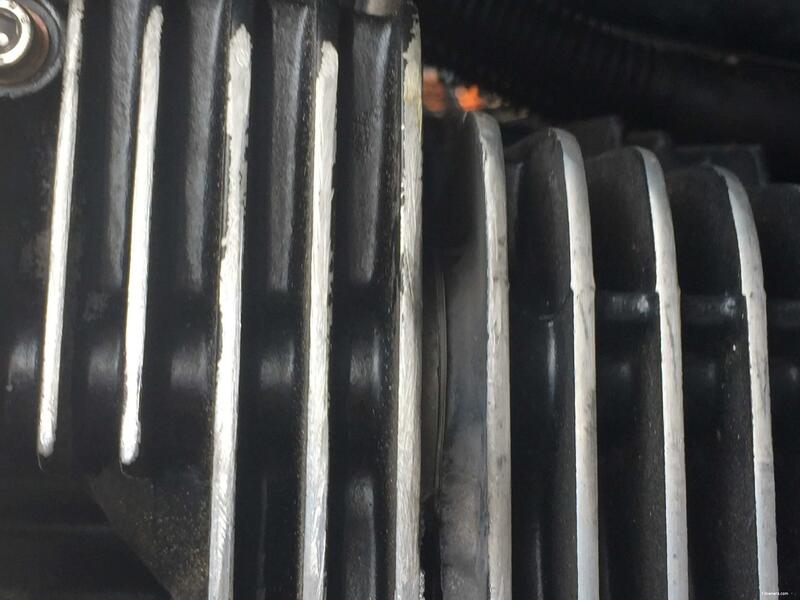 Most likely missing the shift to 3rd gear set up a chain of events that caused a momentary lean out of the engine – so quick it doesn't even show up on the AFR trace. The “error chain” looks like this: I setup the nitrous to active between 5,000 RPM and 10,500 RPM with the rev limiter set to 11,000 RPM – this because it usually damages the bearings in the lower end when you hit the rev limiter on nitrous; I learned in early testing with nitrous that if you interupt the nitrous routine (roll out of the throttle or go over the max RPM set for the nitrous) the ECU RESTARTS the nitrous routine, but the nitrous controller CONTINUES WHERE IT LEFT OFF. I had previously set the nitrous to turn off about 200 RPM before the shift to make it much easier on the transmission and more reliable shifting with a shorter kill time for the shifts. When I went from a 25 shot to 50 shot in testing (on the OLD motor by the way) I noticed the AFR leaning out at the beginning of the next gear. The way I got around this was to continue to spray the nitrous through the shift – this was why we had back fires and flames on the shifts – especially at higher nitrous levels! Combine the missing shifter button with the fact I can't use the tach to anticipate the shift light and you have the setup that lead to our demise. When I didn't make the shift to 3rd gear, the RPMs went to 10,850, disabling the nitrous above 10,500 RPM, then reinstating it when the RPMs fell below 10,500. The ECU added fuel back in for 40% of a 150 HP shot, but the nitrous controller resumed somewhere around 80-90% of 150 HP. Looks like it detonated the worst in the #4 cylinder and the spike in the combustion pressure took out the head gasket there. I think when the nitrous and fuel were restarted it burned through where the head gasket failed and notched the head like a blow torch. We'll know more when I get the engine back to Randy and he performs the autopsy. Needless to say I have several changes for the program for next year to go faster – and so does Randy! Some includes improvements to the engine, some to the body work, and some to the systems – like the ECU maybe, the nitrous controller, shift system, etc. How powerful was the FJ? Powerful enough to blow out the window of the Maclaren parked behind us! No, seriously, this happened while we were figuring out what happened after the last run. Evidently the owner asked his friend (a Maclaren factory mechanic) to bring the car to the grid. When he opened the door the window exploded! Holy crap! The owner handled it well. Excellent write up. It's too bad it ended this way however your results are absolutely phenomenal. Thanks for sharing this experience with us. I am amazed at your willingness to attempt such a thing. Bravo!!! That practically made me horny where's the Viagra? Great write. Man, you are so close...............I bet you surprised the majority of the competitors there. Sorry to hear about the motor issue. You'll have it back together in no time. Wish I could have been there to help out, but that weekend is a tough one to plan around.